An industry first shoulder adjustment feature allows for an extremelycomfortable fit. The Cyclone Harness can be used for ascending a ladderinside the Wind Turbine. Trauma straps are included as a standard. 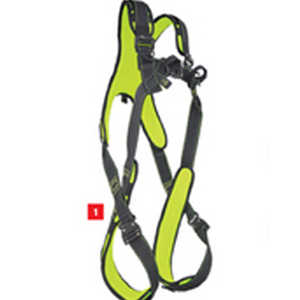 Designedwith the unique X-back which leaves the harness straps tangle free. An idealcombination of fall arrest, work positioning, rescue and rope access applications.